The Nokia 3310 can probably survive the apocalypse, but will it blend? The Nokia 3310 is widely regarded as the toughest phone on the face of the Earth. A Chuck Norris of the phone world, if you will. 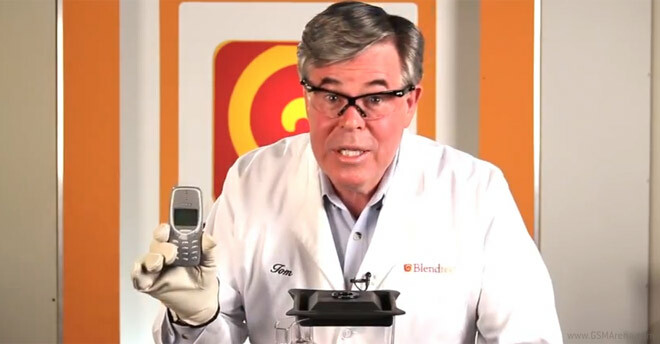 And to check out if this is an urban legend or an actual fact, the guy from the Will it Blend series of videos puts the mighty 3310 to the ultimate blend test. Without further ado, rush to the video below and see how the Nokia 3310 fares. You’ll be surprised. So I guess this is it then, the world is really going to end soon. 21/12/2012 reference here.